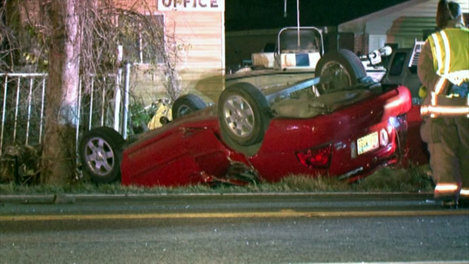 Harris County Deputies say the driver of a red-colored Nissan Sentra was driving too fast when he lost control of his vehicle, ran off the road and entered a ditch before the car flipped and hit one or more utility poles by the roadside. 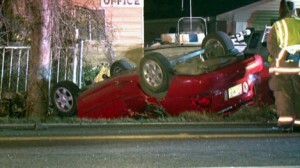 The driver of the vehicle and a passenger were both killed in the accident. The crash happened around 1:50 a.m. on Breen Drive and Gum Valley Drive. No other vehicles were involved. Harris County Deputies arrested a man this morning following a crash on Highway 6 near Westpark around 1:00 a.m. that killed one person. Investigators believe the driver of a Ford Expedition SUV rear-ended a car, then lost control, swerved into oncoming traffic and hit a white-colored Chevrolet van nearly head-on. 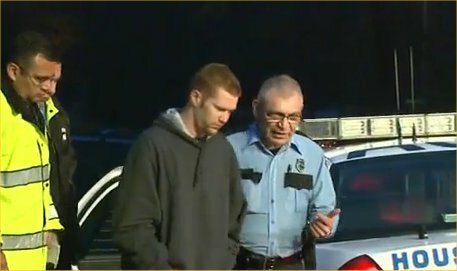 The driver of the van was killed. Deputies believe the driver of the Expedition was driving drunk when he caused the accident: he will likely face a charge of intoxication manslaughter. 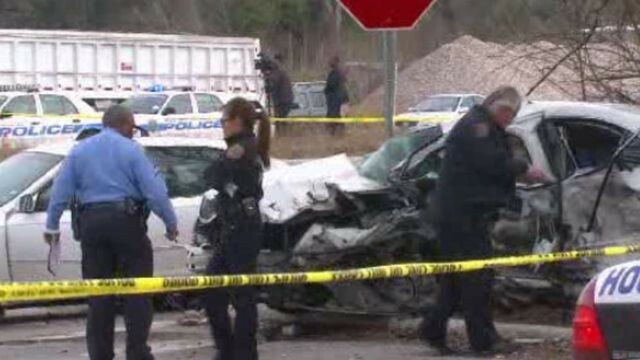 Houston Police Department believes a BMW driver was drunk when he fatally struck a pedestrian around 3:20 a.m. Saturday morning near Blalock Road and Long Point Road. The 38-year old BMW driver said he did not see the pedestrian until the man walked out in front of him. The pedestrian was taken to Ben Taub Hospital where he later died. The BMW driver was charged with driving while intoxicated. 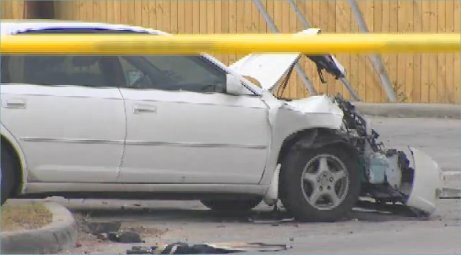 In a separate incident, a Ford Taurus with two occupants crashed into the back of a HPD cruiser that was investigating the pedestrian accident with the BMW. Officer A. Vo who was sitting in the cruiser was taken to hospital with minor injuries: it is not though alcohol was the cause of the second accident. A motorcyclist was killed in a four vehicle collision that happened yesterday afternoon on the northbound West Sam Houston Tollway at Briar Forest Drive. Precinct 5 deputies say that around 5:20 p.m. a motorcycle rider slowed for traffic ahead when he was rear-ended by an SUV. The motorcyclist was thrown from his bike: the bike traveled forward and hit another vehicle while the SUV crashed into another car. The victim, who appeared to be a middle aged man, died at the scene. Deputies say charges against the SUV driver are possible, but there is no indication alcohol impairment was the cause of the accident. Channel 13’s article states the motorcycle rider was struck from behind by a Honda Goldwing, though that is almost certainly an error since the Honda Goldwing is a type of motorcycle. The victim was probably riding a Honda Goldwing. 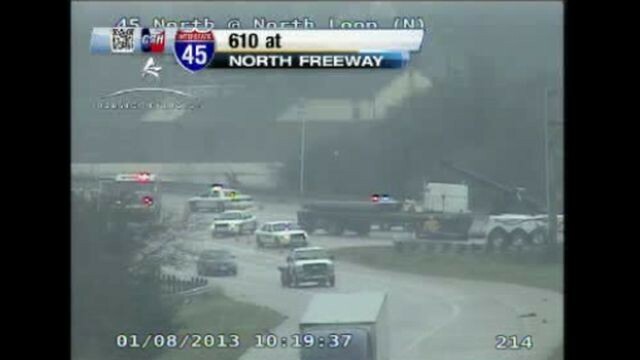 A big rig crashed into a passenger vehicle on the 610 North Loop yesterday morning at around 9:30 a.m. shutting down all westbound lanes at 610 and I-45 North. Investigators believe the rainy conditions were a factor in the crash: the 18 wheeler slid on the roadway and the truck driver lost control and hit the other vehicle. The load of pipes spilled from the 18 wheeler’s trailer and onto the freeway. 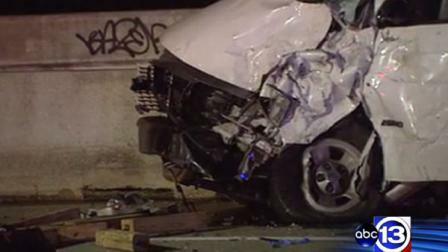 Channel 2’s story did not include a great deal of detail, but the driver’s injuries are reported as being non-life threatening. If you have been seriously injured in a collision with an 18 wheeler or other commercial vehicle, and you are seeking legal representation to protect your rights, experience counts. Insurance companies that write insurance policies, sometimes providing several million dollars of coverage, immediately begin investigating serious injury accidents. In Smith & Hassler’s opinion, they “investigate” for ways to avoid paying a fair and reasonable settlement. Four of the six trial attorneys at Smith & Hassler are Board Certified by the Texas Board of Legal Specialization in Personal Injury Trial Law. Smith & Hassler’s Houston personal injury attorneys have represented injured people and their families since 1989, and our firm has the resources to prosecute large claims. Visit www.smithandhassler.com or click here to contact us about your case and to request a no charge consultation. Investigators believe the slick roads caused by today’s heavy rains in Houston contributed to a fatal motorcycle accident on the West Sam Houston Tollway feeder near Boheme Drive. 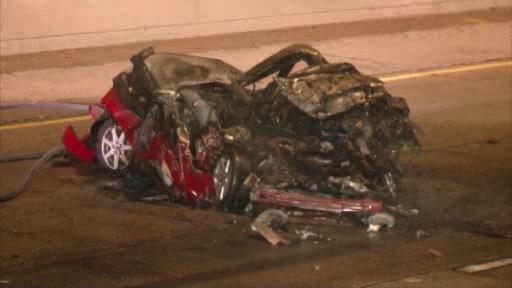 Police say it was pitch black and very wet when the accident happened at 5:30 a.m. today. Police told Channel 2 that the driver of a dark blue Chevrolet Suburban and the motorcyclist were both heading southbound on the feeder road with the intention of turning left onto Boheme. Investigators say the driver of the Suburban, instead of making the left turn, skidded in a straight line into the motorcycle. The motorcycle rider was trapped under the Suburban and died at the scene. 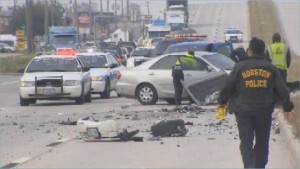 While the Suburban driver was questioned by police and was given a breathalyzer test, police do not think alcohol was a factor in causing the accident. The firm is pleased to announce that Smith & Hassler attorney Daragh Carter recently passed the Board Certification exam and is now Board Certified in Personal Injury Trial Law by the Texas Board of Legal Specialization. This brings to four the number of experienced personal injury attorneys at Smith & Hassler that are Board Certified. The firm’s attorneys who are Board Certified in Personal Injury Trial Law are: Al Hassler, Roger Sullivan, Brent Cordell and Daragh Carter. According to the TBLS web site, approximately 1 in 10 attorneys in Texas are Board Certified. To become Board Certified an attorney must: devote a significant amount of his/her practice to personal injury trial law in Texas, have tried at least 10 cases to a verdict as lead counsel, provided references from other attorneys, including judges the attorney has appeared before and opposing counsel, and passed a 6 hour written exam. If you have been seriously injured in an accident and you are seeking experienced, aggressive attorneys to represent you, call Smith & Hassler for a no charge consultation: 713 739 1250. Police said a woman was driving her Toyota Camry westbound on South Main Street about 8:30 a.m. yesterday when she fell asleep at the wheel. The Camry then crossed the center divider and struck a Lincoln head-on. A Toyota Avalon then crashed into the Lincoln. Sadly the woman driving the Lincoln was killed in the crash. The 37-year old woman driving the Camry was taken to a hospital for treatment. KHOU Channel 11 story here, and Channel 2 story here. 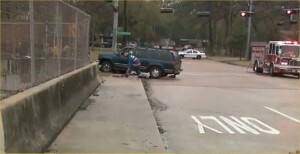 The KHOU story indicates the Lincoln was t-boned in the accident, probably by the Toyota Avalon. T-bone accidents, particularly those that happen at higher speeds, have high potential to cause serious injuries to the vehicle occupants because the point of impact (the vehicle door) is so close to the occupant’s body.